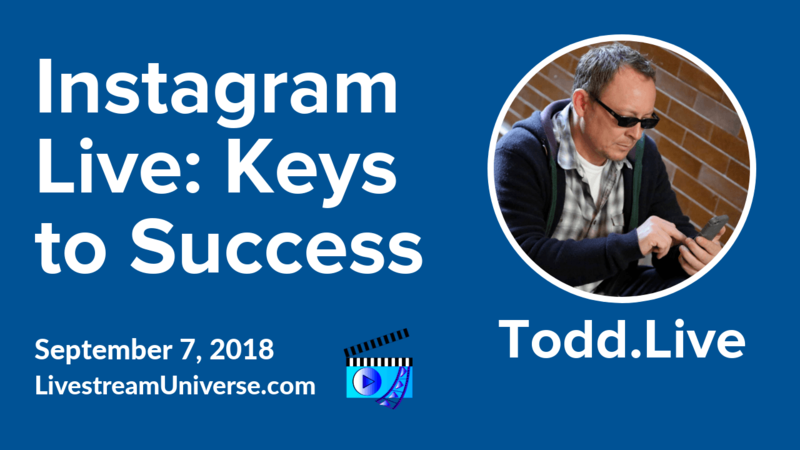 Tag Archives for " Rob Greenlee "
Ross Brand with your Livestream Universe Update and Flash Briefing for Friday, April 27th, 2018. 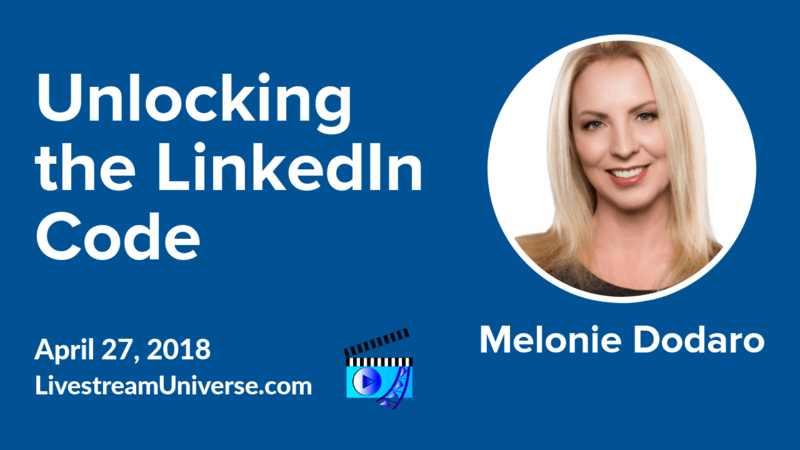 Melonie Dodaro was a popular live streamer back in the early days of Blab, but she’s better known as one of the world’s top LinkedIn experts. Her new book, “LinkedIn UNLOCKED,” dropped yesterday. In it’s first day, the book hit number one on Amazon in 7 countries, including the US, UK, Canada and Brazil and 63 categories. Speaking of Amazon, the company will retain live streaming rights to NFL Thursday Night Football games for at least two more seasons. Amazon hopes to build on last year’s 310-thousand average viewers per minute. That accounted for 2.2 percent of total viewership. Last year, Amazon paid more than 50 million dollars for the 11-game package. That’s 5-times more than Twitter shelled out for Thursday Night Football in 2016. KNEKT TV will be live streaming the Daytime Emmy’s on Sunday, starting with the Red Carpet pre-show. You can watch it on the Daytime Emmys website or social media platforms. It will also be available on KNEKT’s digital network on Apple TV, Roku, iOS and Android. Today at 1pm ET, Kathy Klotz-Guest hosts Yes and Brand on her personal Facebook profile. Her guest is Kerry Gorgone, who will talk about her journey from lawyer to podcaster. At 12pm ET, Rob Greenlee and Todd Cochrane co-host the New Media Show, You can catch it at NewMediaShow.com/Live. 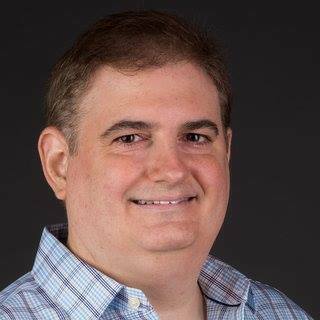 Ross Brand with your Livestream Universe Update and Alexa Flash Briefing for Friday, April 6th, 2018. 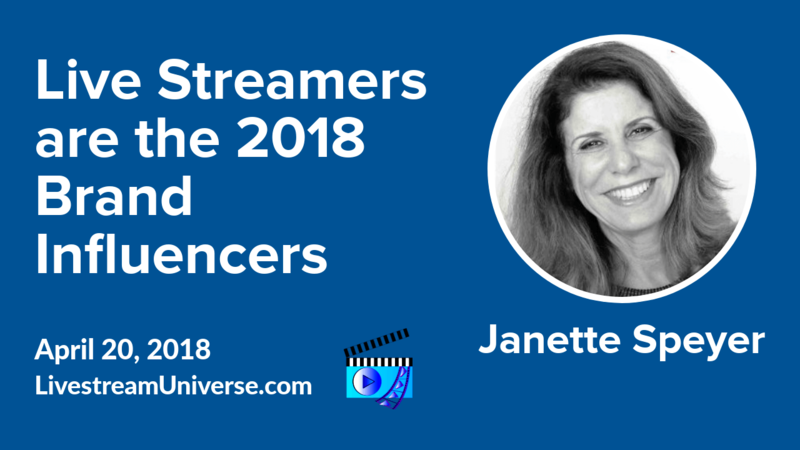 When we talk live-streaming, we mostly think of live video on social media platforms. What about streaming live audio shows? Unique among podcast platforms is Spreaker, where you can host and produce full radio-style broadcasts. 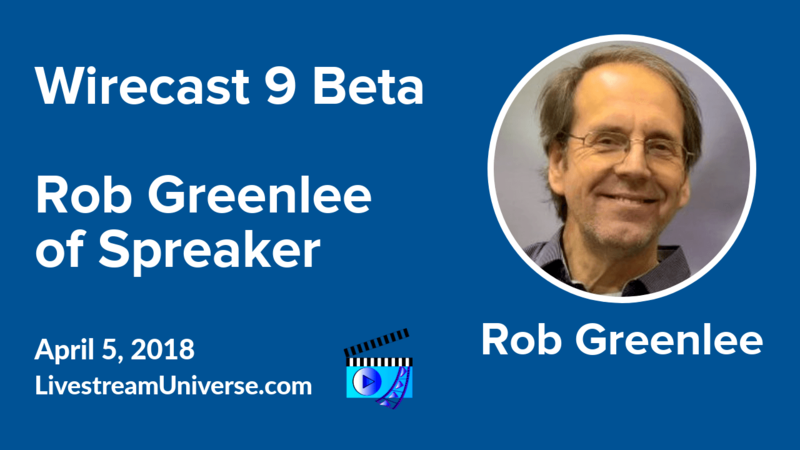 Rob Greenlee of Spreaker was a guest on #LivestreamDeals and talked about how it works. 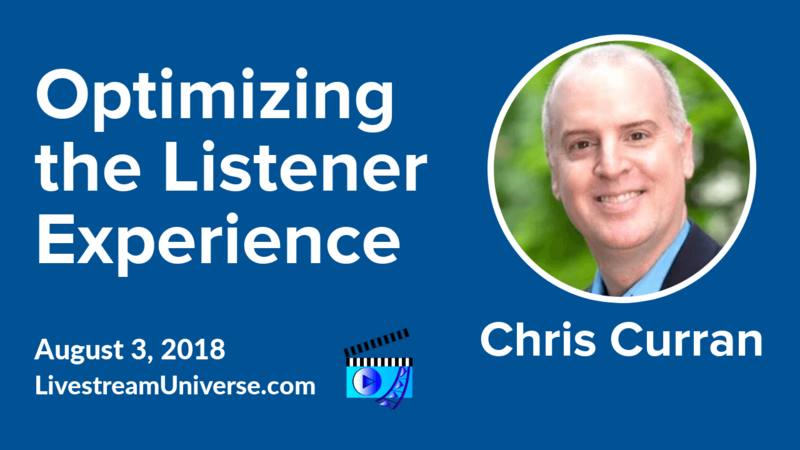 Speaker also provides you with the tools to produce your show. You can get started on Spreaker with a free month. Use the promo code: SPREAKERDEAL. Short-form recorded audio updates like this one can be distributed and listened to as Alexa Flash Briefings. 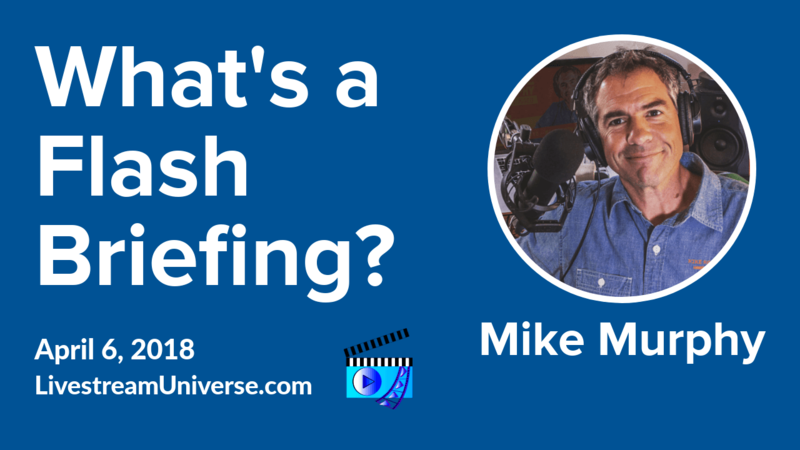 On the Mike Murphy Unplugged podcast, Mike answers the question that might be on your mind right now…What is a Flash Briefing? At 3pm ET today, Eddie Garrison presents the Beginners Guide to Live Video Equipment on his personal Facebook profile. And at 12pm ET – Rob Greenlee and Todd Cochrane host the New Media Show. View and join the chat at NewMediaShow.com/live. Enable as Alexa Flash Briefing: LivestreamUniverse.com/Alexa.